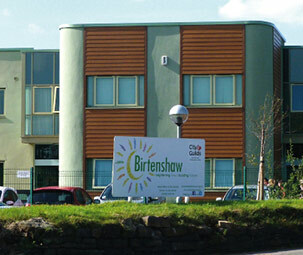 Birtenshaw Children’s Homes are at the heart of our Children’s Care Services, they provide a safe, homely environment for children with a physical disability, complex health needs and a learning disability including Autism Spectrum Conditions. Located in the Bolton area, our Children’s Homes are ordinary houses, indistinguishable from their neighbours. However inside they are adapted to suit the physical and sensory needs of the young people. 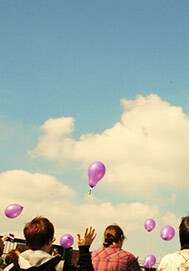 Up to four young people live together in an environment which is based on ordinary life principles. While they are supervised by a dedicated, experienced and well trained staff team, the home is the main home of the young people and staff encourage young people to make choices about all aspects of life at the home. This includes personalising bedrooms and designing communal areas to reflect the habits and interests of the young people living there. Life at the children’s homes is built around positive activity, with staff actively encouraging children and young people to try new experiences and participate in a wide range of sports, activities and interests in the evening and at weekends. Aldercroft Avenue Children’s Home provides placements for four children and young people with a physical disability, a learning disability and sensory impairments including Autism Spectrum Conditions. The home is a large detached property situated in a residential area and can accommodate young people of either gender up to the age of 18 years old on admission. 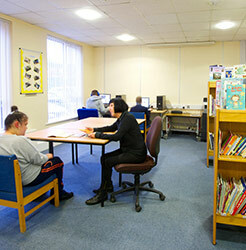 Barley Brook Meadow Children’s Home is a large detached property in a quiet, suburban area. It is registered to provide care and accommodation for up to three children or young people up to the age of 18 years old on admission. Denstone Crescent Children’s Home provides placements for children and young people of either gender up to 18 years of age on admission. The home is a large adapted bungalow which is registered with Ofsted for four young people with a significant physical disability and/or learning disability, including Autistic Spectrum Conditions. Harley Avenue Children’s Home is a well-established home in a quiet area of a residential community. Hondwith Close Children’s Home is a relatively new children’s home that is located in a quiet area of a residential community. 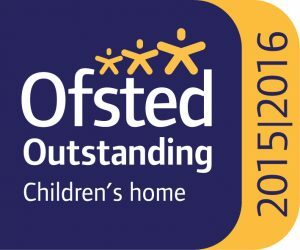 Laburnum Park Children’s Home is registered with Ofsted to provide care and accommodation to up to three children or young people. The home supports young people up to the age of 18 years old on admission who have a Special Educational Need or Disability. The home is a lovely bungalow situated in a quiet area of the local community.